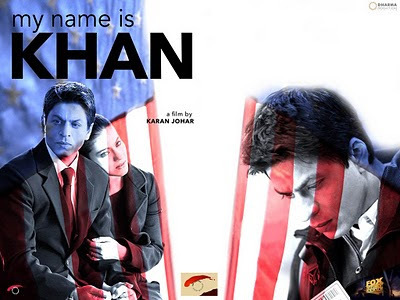 Doc Bollywood: SRK previews 'My Name is Khan' - no more Rahul? SRK previews 'My Name is Khan' - no more Rahul? I am going to see 'My Name is Khan' tonight on the big screen and have heard it's already breaking box office records in India despite the controversy associated with it's release. The build up to it's release has been huge considering that it stars Shah Rukh Khan, Kajol and is directed by hit maker Karan Johar. SRK plays a man afflicted with autism and as a psychiatrist I have a very personal interest in seeing how he and the filmmakers pull this off in a Bollywood movie. I don't expect it to be the time honored song and dance movie that we are used to but for me that's a good thing. Not that I mind the tried and true 'classic' Bollywood movie but I am not sure the subject matter (autism and the treatment of Muslims in post 9/11 America) would necessarily work with it. Plus, I would love to see SRK challenge himself and NOT play the character of Rahul for once - which he has seemed to have done in every film since DDLJ. Now I am not a SRK hater, in fact I go out of my way to see every one of his movies because he is an immensely entertaining actor and his movies are a joy to watch. Due to his status in Bollywood royalty his films have great production values and often turn out well. But success has a dangerous way of making one complacent and SRK too often falls back on the tried and true Rahul in what seems like every role he takes on. Where is the actor who started his career with the little seen miniseries 'Fauji'? Or the one who played a psychopath to perfection in 'Darr'? I'll even take his art house experiments with 'Paheli' and 'Hey Ram' even though they weren't necessarily commercial successes. Rajesh Khanna's star once shone brighter than SRK's or even the legendary Amitabh Bachchan's but his insistence on playing the same sad sack character as well as his limited range as an actor led to his eventual downfall. As evidenced by the clip above Karan Johar thinks he has something special with this movie and here's to hoping that SRK decides to go along with him and do something different with himself. Maybe King Khan thinks that if he strays too far from his formula for success his fans won't come along for the ride. But as another Khan (Aamir) has shown us - if an actor gives the audience a performance they can believe in, they will follow him and the box office grosses will follow. I'm still waiting.. the cinema in Kuwait did not release it yet !! Can't wait for your thoughts! I liked that he did the occasional Swades (box office dud, but heck of a film) and Chak De India (big hit), but the monotony throughout his career has been very bothersome. Esp. since, as you say, we saw him in Fauji and Circus before his move to films, in which he was really quite good. I'll join the rest in waiting for your views on MNIK. Perhaps you could tell us what you thought of the portrayal of the medical challenges faced by the lead, bits which some of us would never appreciate (for better or for worse)? Never trusted KJo and SRK with realistic/path-breaking cinema, but I truly hope they spring a surprise here. PS: Been really enjoying the selections in your jukebox. Thanks, Doc! KHNH - it's worth the wait to see on the big screen! TBF - thanks for stopping by and will have one of my favorite songs of the new year on the jukebox this weekend. And yes, will definitely throw my two cents in about his portrayal in the film.